It appears Andrew Finch's "swatting" deathbegan with an online session of "Call of Duty: WWII." It's a violent video game designed to emulate combat as seen from a soldier's point of view. But no one is supposed to die. Not in real life. On Wednesday, Los Angeles prosecutors filed a warrant aimed at sending Tyler Barriss, 25, the California man suspected of swatting Finch, to Sedgwick County, Kansas, to face a felony false alarm charge. Swatting is the act of making a false police report -- usually of an urgent or violent crime -- to lure law enforcement or SWAT teams to a location. Barriss waived extradition at his hearing. Wearing a dark hoodie, he spoke sparsely, providing only brief responses to a judge's questions. He will remain in a Los Angeles jail without bail. Kansas authorities will transport him to Wichita between January 17 and February 2. After Barriss arrives, he will have a first appearance in district court, and the charging document outlining the allegations against him will become public, Sedgwick County District Attorney Marc Bennett said in a statement. Responding to a false report of a domestic shooting and hostage situation, allegedly made by Barriss on December 28, police arrived and fatally shot the 28-year-old Finch after he opened the front door of his family's home. An officer opened fire on Finch after he moved his hands to his waistline, Wichita police Deputy Chief Troy Livingston said. Finch died at a hospital. After Wichita police issued a fugitive warrant, Barriss was arrested Friday by the Los Angeles Police Department, some 1,400 miles west of Wichita, Los Angeles police Officer Mike Lopez said. Prosecutors filed a "fugitive from justice warrant" Wednesday, aimed at sending Barriss to Kansas to face charges in Finch's death. "I hope they charged him with something substantial. It should be a crime," the victim's mother, Lisa Finch, told CNN affiliate KAKE. "So that's the information we were working off of," said Livingston, the deputy chief. "Our officers came here preparing for a hostage situation. Several got in position. A male came to the front door, and one of our officers discharged his weapon." Lisa Finch wrote a letter to Wichita, Kansas, officials demanding answers in her son's death. Finch was not armed, and nobody was found dead at the home, Livingston said. He called the shooting "tragic and senseless." "The irresponsible actions of a prankster put people's lives at risk," he said. "Due to the actions of a prankster, we have an innocent victim. If the false police call had not been made, we would not have been there." But the victim's mother said police also share the blame. "The cops are trying to make this go away and it's not going to go away. People aren't going to let it," Lisa Finch told KAKE. On Tuesday, she wrote a letter to Wichita Mayor Jeff Longwell and Police Chief Gordon Ramsay saying her "heart was not eased" by Ramsay's unannounced Sunday visit, nor by the "empty hand extended and the questions left unanswered." Among those questions, she said, are: What is the name of the officer who killed her son? 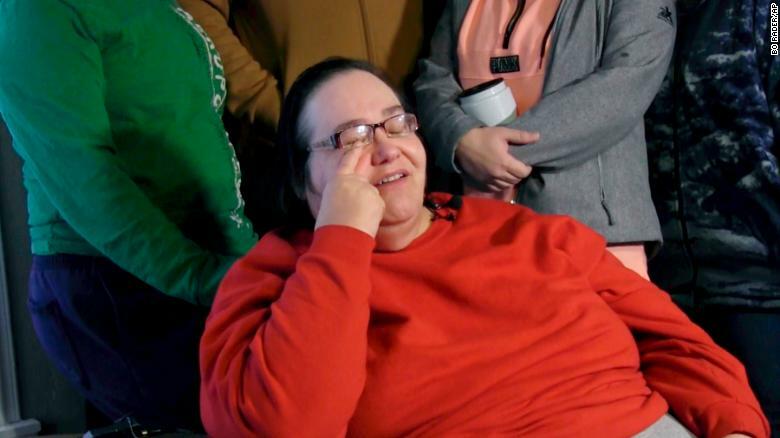 Why was her family, including a teen granddaughter, handcuffed after the shooting? And what is Wichita police protocol for swatting calls? Her attorney, Andrew Stroth, told CNN this week that the officer who shot Andrew Finch should be held liable, as should the city and police department "because of their policies and practices." "Swatting is not new, just like prank calling is not new," Stroth said.